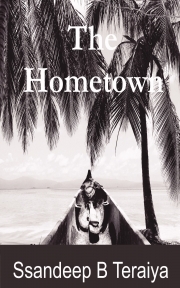 The Hometown is a story about Karan, the only child of his parents, lives in Porbandar. His only dream to earn money good enough to give his parents a comfortable life,but never wanted to leave his hometown & parents. But dream forced him to go away from hometown and leave his parents for better future, his destiny brings him back to the hometown. Will his destiny allow him to earn good money? will he able to give a parents good life? and what will happen with his love life? Sometimes to earn something we know we have to lose something, but sometime we lose everything and get nothing, and it leads us to a question should we leave our hometown for better future? Ssandeep B Teraiya is a Bcom LLB by education, a wedding planner by profession and now an author by passion. Born and raised in Porbandar, Gujarat and now settled in Rajkot. प्यार के फूल by मनोज कुमार "मंजू"